Ensure all complaints are logged and effectively managed, your FCA reporting obligations are met, and you learn from customer feedback. Enhanced customer service and complaints cost control provide sound commercial reasons for adopting a complaints management system, as well as the important issue of regulatory compliance. But don’t just tick boxes - really use your customer feedback. Workpro complaints management software captures and categorises complaints data so you can better analyse root causes and trends. The invaluable customer insights gained enable you to improve products and services to maintain competitive advantage. Complaints have been a hot topic in the financial services industry for some time now. It’s not just fines for mis-selling and poor advice making the headlines, the FCA has also been issuing huge fines for poor complaints handling itself. Stores all complaint data ready for 6-monthly interval FCA reporting. Automatically maps your product and cause categories to FCA terminology. FCA timescales and targets built in. Mandatory correspondence templates, e.g. FCA Summary Resolution Communication, automatically produced during the workflow. Automatically generates standard FCA DISP reports. Improve customer experience with a system that ensures a consistent, fair and transparent approach to handling complaints. 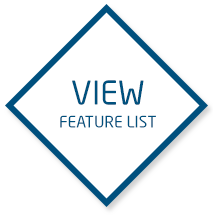 Quickly record complaint details in an easy to use web form which automatically creates a case in the Workpro complaints management system. Outcomes for complaints resolved at the frontline are captured and recorded in Workpro for reporting purposes. Workload management and performance monitoring tools ensure productivity gains to reduce the costs of putting things right for the customer. Workpro integrates with other systems (e.g. policy data) to avoid re-keying and give complaint handlers access to up to date information. 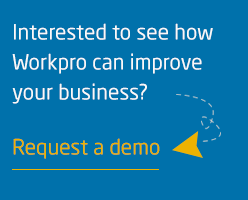 Workpro provides comprehensive management information and reporting so you gain increased control of your organisation’s complaints handling and a genuine ability to focus on and learn from complaints. Putting customers at the heart of everything we do is key to Brightside maintaining a competitive edge within our markets. Listening to customers and acting quickly to respond to complaints and dissatisfaction ensures we can move swiftly to improve our processes, products and customer propositions. Core to this is having a first in class complaints handling solution.